When is a Policy Renewal Not a Renewal? Acquiring adequate insurance coverage against environmental risks, in particular the spill or release of pollutants or contaminants in day-to-day operations, is important to many construction businesses confronting the requirements of environmental regulation. For example, EPA’s hazardous waste rules require permittees (at both the state and federal level) to demonstrate financial responsibility for the operations of these facilities, including site closure and post-closure care, and coverage for sudden and accidental discharges. This requirement can be satisfied by proof of acceptable insurance coverage. In addition, having such insurance often assists companies facing the challenge of an extensive and prolonged Superfund cleanup. Many courts have ruled that the receipt of a Superfund Notice Letter from EPA triggers the responsibility of the insurer to provide the coverage in the policy. Acquiring insurance is only one aspect. Maintaining the required permits and managing the costs of the project over its lifetime also require having the ability to maintain coverage without rewriting the deal every time the policy period ends. On October 15, 2105, the U.S. Court of Appeals for the Third Circuit issued an opinion vacating the district court’s ruling that that an insurance company had complied with its contractual obligation to offer a renewal policy to its insured at the conclusion of the initial term of the Pollution and Remediation Legal Liability Policy. The Third Circuit remanding the case, held that the terms of a renewal policy must be the same or nearly the same as the initial policy. The case is Indian Harbor Insurance Co. v. F & M Equipment, Ltd., f/k/a Furnival Machinery Company (Furnival). In 2001, Furnival entered into a 10 year, renewable environmental mediation insurance policy covering twelve specific Furnival sites, including the Elizabethtown Landfill Site. The 74-page document details the terms and conditions of the insurance coverage, and confirmed that “The Company agrees that it shall not cancel nor non-renew this Policy except for the reasons stated above.” Furnival paid Indian Harbor a premium of $520,498, and the policy was modified in 2006 to increase the insurance coverage from $10 million to $14 million, and an additional premium was paid by Furnival. The policy included a provision by which Indian Harbor agreed to offer Furnival a renewal of the policy at the end of the initial 10-year term. Indian Harbor did so, but its terms were substantially different than the original policy. The renewal policy differed from the initial policy in four ways: (1) an updated price; (2) 1 year of coverage instead of 10; (3) $5 million coverage limit instead of $14 million; and (4) exclusion of the Elizabethtown site. Furnival protested, and attempted to renew the policy on the same terms and conditions as the 2001 policy. Indian Harbor refused, and eventually filed a complaint in federal court seeking a declaratory judgment that its proffered renewal satisfied its obligation under the 2001 policy. Furnival counterclaimed for breach of contract and for summary judgment. The district court agreed with Indian Harbor and granted the Indian Harbor’s motion for summary judgment. 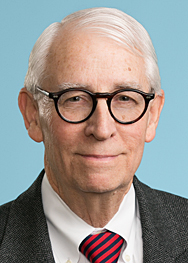 In closing, the Third Circuit responded that “[t]o the extent Indian Harbor argues that a contract it drafted was not careful enough, we are unmoved.” However, it agreed that, in future policies, Indian Harbor “need not incorporate the broad renewal provisions that are included here.” It did, however, note that the question of being held to a perpetual renewal was not before it and it declined to opine on this question. EPA’s rules provide that any facility which uses insurance to satisfy its financial responsibility obligations must submit a policy that does not allow for termination or failure to renew except where the insured fails to pay the premiums. Even so, this new guidance on what constitutes a “renewal” policy should help to protect the integrity of the renewal provision.